The 2017 Toyota Yaris iA is not an expensive vehicle. However, that is the precise reason that it is such a valuable vehicle. The Toyota Yaris iA comes loaded up with incredible technologies like a seven-inch touchscreen audio display all in one inexpensive package, providing drivers with more of what they love for a lower price. By combining affordability with some of the latest technologies in the automotive industry, Toyota has developed one of the best offers on the market: the 2017 Toyota Yaris iA. 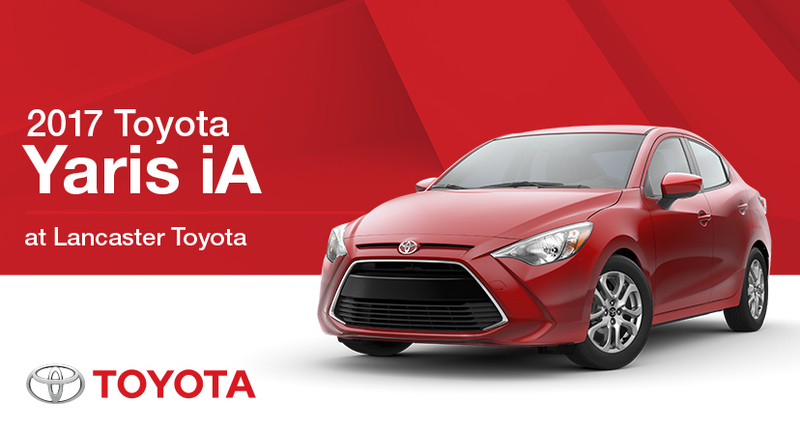 Find out how you can get more for less with a Toyota Yaris iA of your very own.